Lotus has announced that they will not be attending the Paris Auto Salon this year, after making a huge splash two years ago with not one, but six concepts. Now, with top-level shakeups, the company is re-thinking its global strategy. When Lotus brought in former Red Bull and Ferrari CEO Dany Bahar to run the show, many in the industry assumed that Lotus was going to see a lot of shakeup. They were right. In his short stint at Lotus, Bahar managed to launch six concepts at the Paris Auto Salon two years ago, but he brought in Ferrari-like ideas like partnering with a big name rapper and auto tuner Mansory to churn out concepts that were viewed as decidedly extravagant. At Ferrari, this sort of thing is the norm. Lotus, however, is a much more sedate, conservative company with a more straight forward approach to making sports cars. This is reflected in their simpler, more classic designs and attention to details in workmanship and engineering. Rumors of Bahar's huge executive expenditures and lavish lifestyle were the last straw for Lotus' board, which fired Bahar last month. He'd been suspended in late May as the board opened an investigation into the CEO's money-burning adventures. Regardless of Bahar's persona and how it affected Lotus, one thing is certain: he was attempting to do what Lotus had already done in the past, and had failed miserably at. The company had once before attempted to move into extreme-high-end Ferrari territory and produce cars that were highly exclusive (and costly). The company nearly disappeared in the 1980s after attempting this and was saved only by a return to basics and the release of the first-generation Elise, a much lower price-point car and a solid return back to the engineering-first mentality that made Lotus what it is. Now, as the company attempts to reform its strategy, we can likely expect a similar resurgence of engineering focus. Will the concepts featuring Mickey Rourke and Sharon Stone and Swizz Beatz ever enter production? Probably not, but nobody really thought they would in the first place. Will current models like the pictured Elite, planned for 2014, continue? It could, but at its price point beyond £100,000 and a whimsical kinetic energy recovery system (KERS) option, it's not likely. Currently, the acting CEO at Lotus is newly-named Chief Operations Officer (COO) Aslam Bin Farikullah. He was one of the most senior executives at Malaysia's DRB-Hicom, but is in most respects the polar opposite of outgoing CEO Bahar. Bin Farikullah has a lot of automotive cred, with a degree from the University of Bath, England in engineering and membership in the UK's Institution of Mechanical Engineers (IMechE). Nearly all of his career has been in aviation and automotive and he's a permanent British resident. Whether or not he's named CEO of the company (an iffy proposition, since he has no sports car experience nor the charisma to front such a company), he's a solid place to put the company in the interim. Further, pulling out of the Paris show is not a sign of weakness from Lotus, since they just finished an excellent showing at the Goodwood Festival of Speed, but is a tactical money-saving maneuver that will save the company from a lackluster showing with nothing new to offer this year. 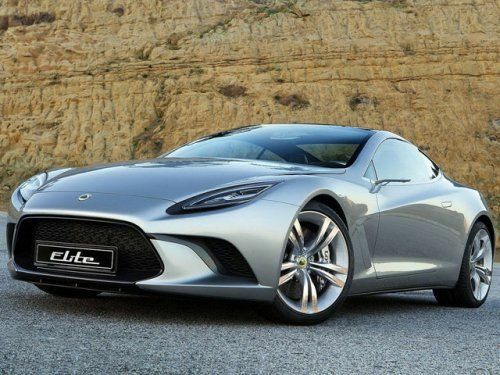 Expect to see Lotus re-appear at shows in its larger markets, such as the United Kingdom, and to try to rebuild itself in American eyes at Los Angeles or New York in a few months.